You seem like a rather calm lifter compared to somebody like Zahir yelling "kill kill kill" before a big squat or something like that. Are you just holding that intensity in you or do you just not really need to get super intense? Who also was your favorite lifter growing up? I know you're a big fan of Ed Coan. Ed Coan. GOAT forever and ever. LOVE HIM SO MUCH! Only with the help of him I became who I am now! When are you going to squat 500 KG ? I know you can do it. The GOAT is saying "you're the best, you're the big squatter" and Malan is just like nah you're the best haha. I've always respected your lifts but seeing how gracious and humble you are I respect you as a person. 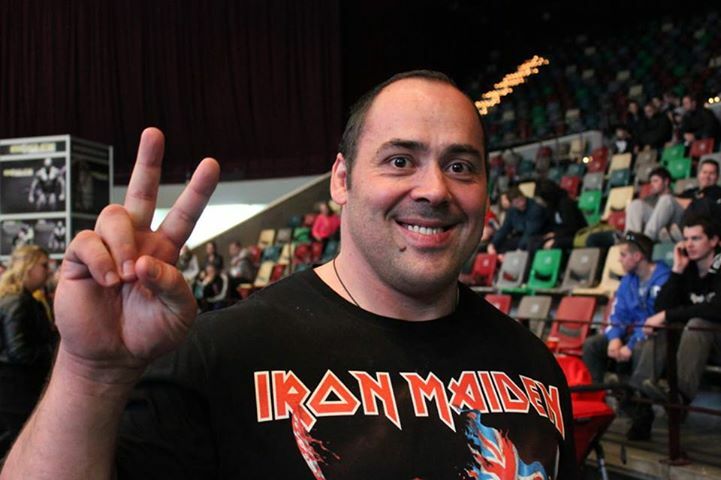 Hey Andrey, congratulations on your WR 485kg squat and your 1140kg total. So when exactly are you competing next? Can't wait to see you squat 500kg raw. Incredible performance. Congrats on the new World Records. Universal. Real. Strong. Since '77. I have my own way of getting ready. It begins 2-3 weeks before the Meet - I just become very calm and go inside myself. And I try to stay that way on the platform too because I want to give my energy to the attempt! Great insight from such a great lifter. EASY 1069! Has 500 kilos in him for sure and a 900 Deadlift as well. you know squatting 500 kg with walkouts and from monolift is not the same at all. it is very hard to make a proper walkouts, to fix your feet your back and make a movement.it take like 20 percent off your strength. if i had a possibility to train with monolift right now i would be squating 520 kg for sure because this thing make everything easier, you shouldnt waste your strength on walking with barbell and fixing your position. i'm just a simple sportsman and i just do what i need to do to compete. powerlifting is not a showbusiness, people should recognize you by the records not all that fancy mess. i will try to compete on Big Dogs -2 this year again. MERRY X-MAS AND HAPPY NEW YEAR TO EVERYONE! How many days before a meet do you use to accumulated to time change when competing over seas? What does your typical peaking cycle look like 4 weeks out (or however long) before a meet? i peak earlier, 4 weeks out i do already deload! btw how to add photos to the post? As you can see above I followed the instructions for posting an image just like you did but it turns into a link you can click on. "How do I attach a file to a post? To upload a file from your computer, click the 'Browse' button and locate the file. To upload a file from another URL, enter the full URL for the file in the second box on this page. Once you have completed one of the boxes, click 'Upload'." Your account will need the "post attachments" privilege for this to work. You will probably need to contact the site administrator over this issue. The wall clock reads 6:56 am... Time's a wastin'.